With December around the corner, Costa Cruises is not only gearing up for a banner cruise season, but will become the first major luxury cruise line to offer sailings from India. Costa’s luxury neoClassica, with 654 cabins and a total capacity for 1,700 passengers, will be homeported in Mumbai and, beginning Dec. 16, will perform weekly sailings between Mumbai and the Maldives through March 18. The itinerary has been designed to be an authentic cultural experience, allowing passengers to get an intimate understanding of differing cultures and nature. 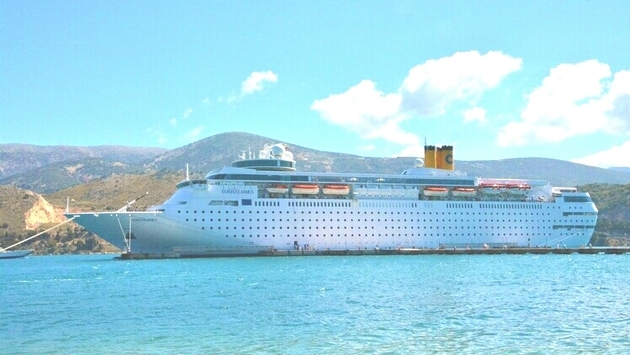 The Costa Luminosa, meanwhile, is currently docked in Mumbai as part of its 98-day around-the-world itinerary. 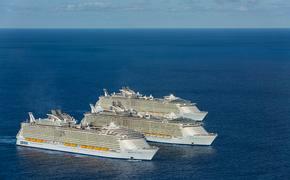 "We are delighted to bring cruising to Indians at their doorstep. For many travelers, the holiday often starts after some sort of a long journey. Now like never before, Indians will have the opportunity to start holidaying – right from their door-step – from India's largest metropolis, Mumbai," Costa Group Asia President Buhdy Bok said. "It is a proud moment for us to have Costa neoClassica to be homeported at India's premier port. The Mumbai Port has long been the principal gateway to India, playing a crucial role in sea trade and development of the national economy, trade and commerce and prosperity of Mumbai in particular," Mumbai Port Chairman Sanjay Bhatia said. Starting in Mumbai, passengers will get a taste for the hustle and bustle that defines India’s most populous city. The city contains some of the world’s best examples of colonial-era architecture, as well as vibrant bazaars, temples and pulsing nightlife. From there, it’s off to New Mangalore, India’s deepest port. Among the popular attractions there are Panambur Beach, the Kadri Manjunath Temple, Tannirbhavi Beach, the St. Aloysius Chapel and the Pilikula Nisargadhama gardens. Cochin, a city scattered over a group of islands, is the next port-of-call. Here, passengers can learn about the traditional dance, the Kathakali, and explore quaint streets lined by 16th-century Portuguese churches and forts. In fact, the city is interesting because of its dichotomy—it’s home to a 400-year old synagogue, ancient mosques, giant Chinese fishing nets and what’s left of the British Raj. The various villages are linked by a network of ferries and bridges and are a delightful place to while away the day. Next stop on the itinerary is Male, the capital of the Maldives, a bustling archipelago that is in stark contrast to this laid-back island nation. Don’t miss the National Museum, the Old Friday Mosque and the fish market, where the day’s fresh catch is brought in and sold.